Here is a quick DIY I worked on last weekend. 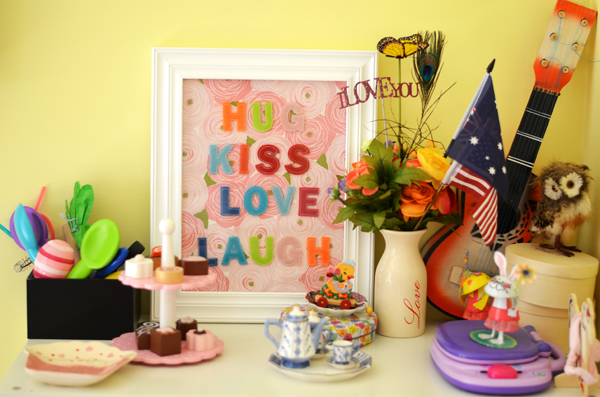 Cute for a kid's room or playroom or even cute for an office. My inspiration was from I Suwannee's post here. My daughter loves it and I find it is a great little addition to her play area. How cute would a chinoiserie one be with a blue and white background? or a glam dark paper with glittery gold letters? hhhm....I might just have to have a go another version of this project. It was so fun and easy. 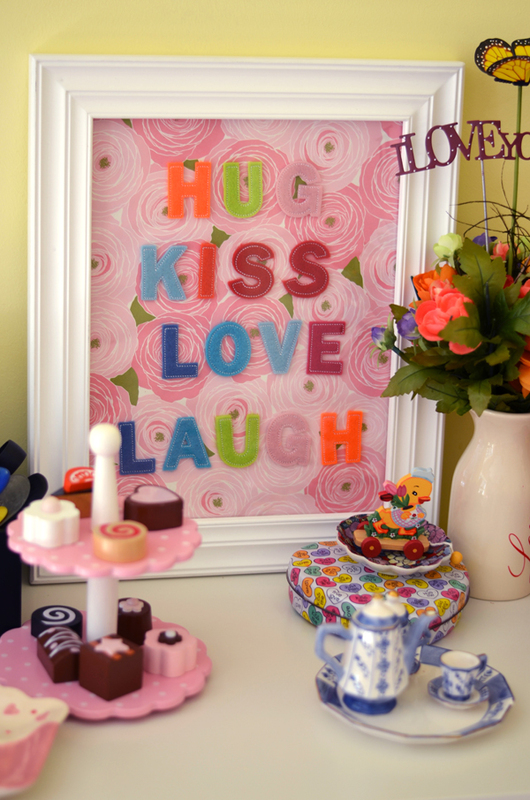 I used these letters and a paper very similar to this one and one of the frames from Jo-Ann's. Ta-Da!!! A perfect work of art! 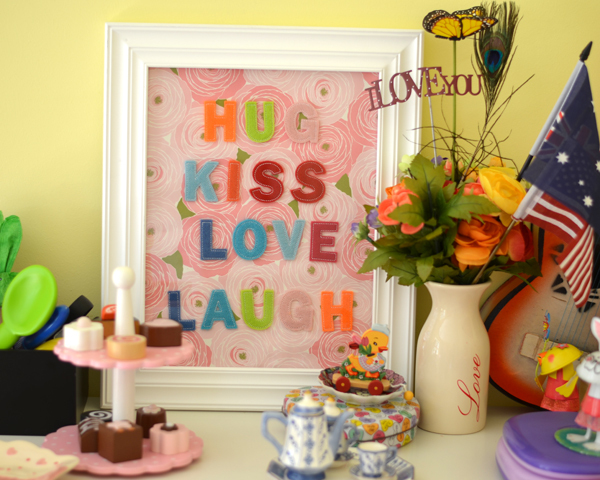 Tags: DIY, framed art, letters. So cute! Love it! So easy but looks great - i agree perfect for a kids room! It's Gorg! And she'll have it and likely cherish if forever - that's the beauty of such projects. I once created a fake news story for a little girl I babysat during college. It was a front-page spread about how the whole town was celebrating her 7th birthday and "quoted" all her friends. I even framed it. Well, that little girl is now 20, tracked me down via Facebook and Linked In and said she still had the item! And sent me the pic. It had meant the world to her. You've now inspired me to go do some DIY for my son's room! Cheers to a fab weekend lady - and your new journey. Besos. So cute! I love how colorful and bright this is.